It's never a good sign when your pilot tells you to "pray." 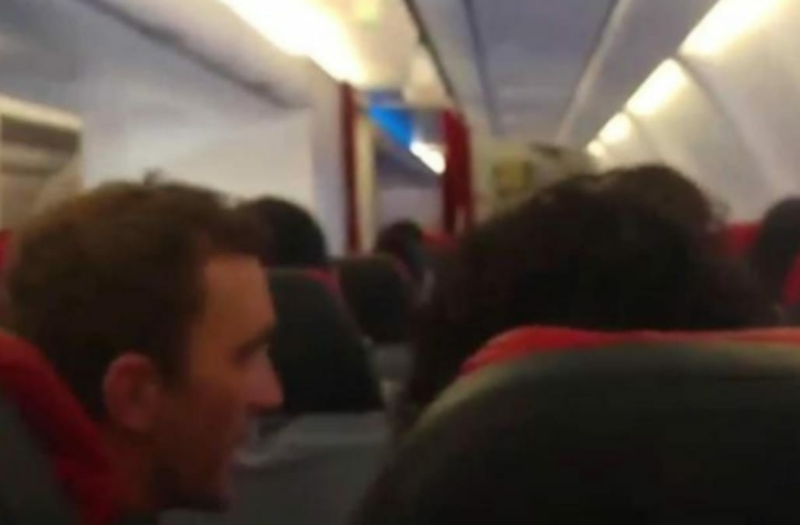 But that's exactly what happened — twice — on a scary Air Asia X flight from Australia to Malaysia as the plane shook like a "washing machine" for two hours, according to passengers. "The rattling started straight away," Damien Stevens, who was on his way from Perth to Kuala Lumpur with a friend, told NBC News. "It was like being in a washing machine or on a compressor. The crew were really good, although the pilot asked us to pray twice and said he was scared too." Stevens said the Sunday morning flight out of Perth began to shake rapidly after they heard a "huge bang" about 75 minutes into the flight, which should have taken the Airbus 330 about six hours. Footage taken by Stevens, the man in glasses in the video above, and his friend shows seats and passengers shaking rapidly and a rattling sound. The exact cause of the incident remains unclear. Stevens said the airline was very forthcoming with information, though he said they told him the trouble stemmed from one of the engines and that the pilot had 44 years of experience. "I'm not 100 percent sure," he said, noting that he could not see the engine and could not definitively confirm. "It was the left engine, engine one. We flew back on one engine. It was either jammed, frozen, the engine belt broke — apparently a blade broke off." Passengers on the left side of the plane were asked by the pilot "to keep an eye on it," as he could not see the engine well from the cabin. "The only thing I could think of was my family, because it's the first day of Eid celebration," passenger Alia Abdul Rahim told NBC News. "All I wanted to do was go home and hug my parents." The flight landed back in Perth two hours later, shaking the entire time, passengers said. They remained in a bracing position while the plane landed, which was reportedly smooth. "Thank God the pilot and the crew did a great job," Rahim told NBC News. No one was injured during the incident, though it seemed some passengers were struggling after getting off the plane. "I feel fine but a lot of people I've spoken with are really shaken and quite apprehensive about the flight," Stevens said. The budget airline released a statement later Sunday, though they did not appear to have an immediate explanation for the chaos. "Passengers were attended to by our ground staff upon landing and were provided with all necessary assistance," AirAsia said in a statement. "Our engineers are taking the precautionary steps to check the aircraft."